In the 1790s, when Charlotte Smith and Helen Maria Williams were at the peak of their critical reputations, they were known to each other and often cited together approvingly. It was Smith who provided the young William Wordsworth with a letter of introduction to Williams when he visited France in 1791 (though she had left by the time he got there). By the end of the decade Smith and Williams were being cited together more pejoratively, as two of a number of women who came to stand for the amoral, sexually suspect and politically naïve English ‘Jacobins’ who were vilified in the conservative press. Neither were in fact ‘Jacobins’ but they were revolutionary. This book looks at how Smith and Williams earned such reputations and at the politics and poetics of the works that reveal Smith to be a self-constructed Romantic and Williams as a mistress of intimate disguise. 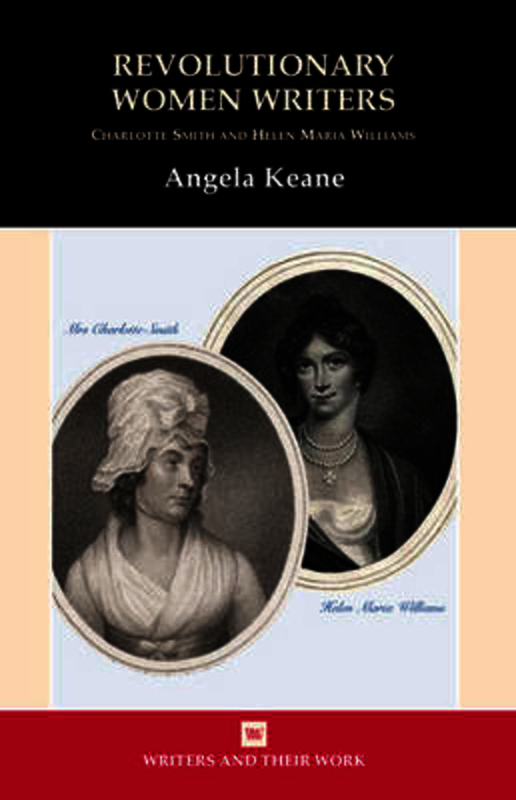 Angela Keane is Lecturer in Eighteenth-Century and Romantic Literature at the University of Sheffield. Her publications include Romantic Belongings: Women Writers and the English Nation in the 1790s (Cambridge University Press, 2000) and Body Matters: Feminism, Textuality, Corporeality, eds. Avril Horner and Angela Keane (Manchester University Press, 2000).